Ab-Soul hit a buzzer-beater before the end of 2016 with his long-awaited third LP Do What Thou Wilt. Now, the TDE rapper has announced a North American tour in support of the disc. 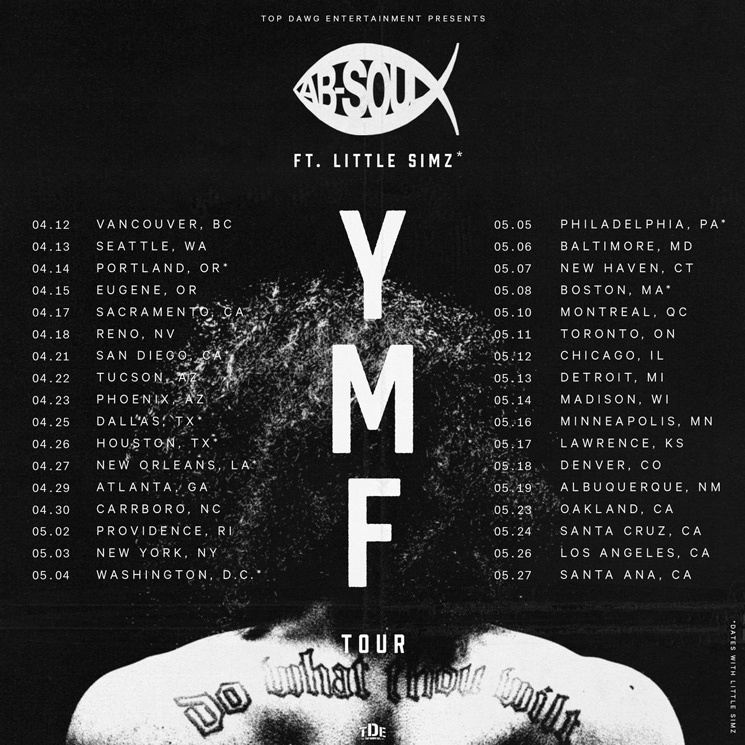 The 34-date "YMF Tour" will keep Soulo on the road through the better part of April and May, when he'll travel through the United States and Canada. Support on select dates in the United States will come from Little Simz. As far as Canadian dates go, hip-hop heads can have their third eyes opened by Ab-Soul in Vancouver on April 12, Montreal on May 10 and Toronto on May 11. Venues have yet to be determined, as per the rapper's reveal of the dates on Twitter. However, the tour will be hitting Fortune Sound Club in Vancouver. Do What Thou Wilt is out now through Top Dawg Entertainment. Take a look through the complete tour itinerary below.